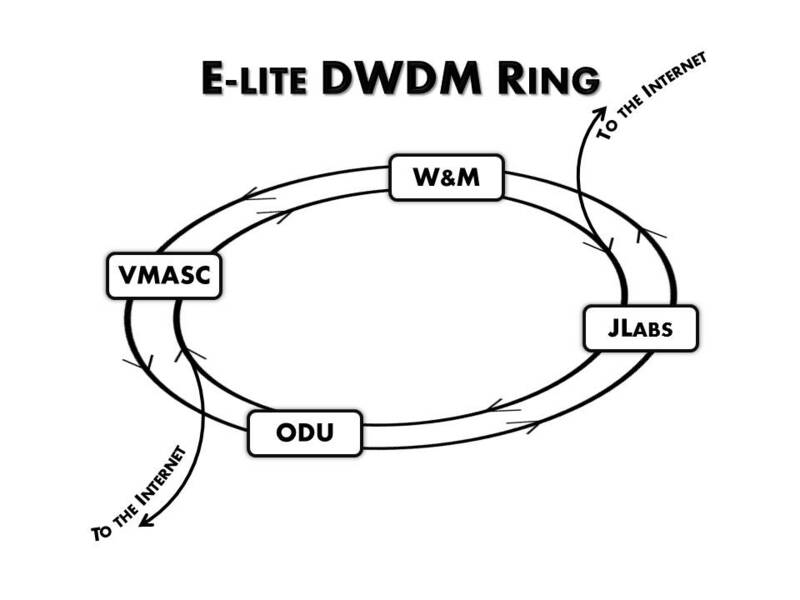 W&M is part of a consortium of local research institutions that operate their own private network of Internet connections called E-lite. Last semester William & Mary changed our physical Internet connections and the switch allowed us to increase our bandwidth beyond our prior capacity. As our campus is projected to continue growing, this small change has offered a cost-effective solution to our expanding bandwidth needs. While day-to-day operations have changed very little, the recent update to E-lite provides us with a good opportunity to consider how we receive and consume information every day. When we think about the Internet, we often think about our wireless connection to YouTube and Facebook; however, we should keep in mind that the Internet is actually a physical infrastructure of fibers that transports data between millions of networks all around the world. For example, the Internet transports data from a server hosted on the W&M network to a computer on the ODU network. When you send any information over the Internet, whether you log into Netflix or email a colleague in California, you're sending information across E-lite. 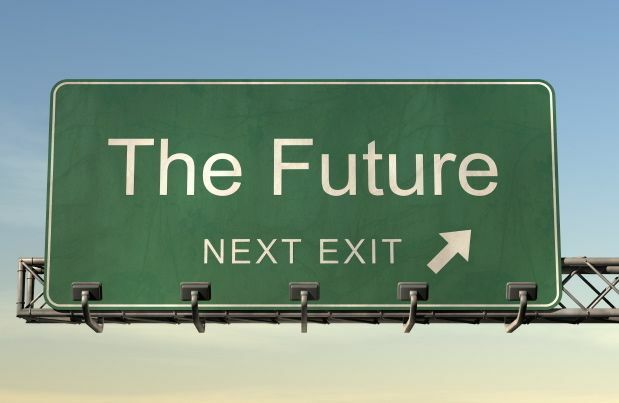 Once that information leaves E-lite, it will travel along the Internet interstate, if you like, until it arrives at your destination network. E-lite can be seen as W&M's driveway connecting our campus to the Internet road. E-lite is a privately owned network between four institutions: William & Mary, ODU, Jefferson Labs, and the Virginia Modeling, Analysis & Simulation Center. Together the four institutions form a Dense Wavelength Division Multiplexing ring (DWDM), which allows bilateral transmission of information between institutions. In other words, information can be transmitted both clockwise and counter-clockwise, so in the event that one link in the DWDM ring is malfunctioning, this redundancy means W&M won't lose our Internet connection. William & Mary uses Virtual Local Area Networks (VLANs) to share Internet connections among those on campus. E-lite, functioning like one central pipe, gathers all those VLAN connections together and facilitates connections other networks. In the past, campus Internet connections would be allocated to different networks based on their user or function (whether it was a student surfing the web or a campus washing machine). Most of those connections have now moved over to unique VLANs that are hosted through the same E-lite pipe. William & Mary formerly used Verizon to host our Internet connections and E-lite, but last fall we switched to Cox Cable. With Verizon the information you send daily used to travel via E-lite to the Internet hub in Ashburn, VA. With Cox, that information can also travel to the Internet hub in Atlanta, adding an additional fail-safe in the event our connections to Ashburn fail. E-lite is a very fast network. It hosts 10 gigabits of bandwidth between each institution. William & Mary can quickly increase the bandwidth on campus in the event of an emergency, and the DWDM ring design ensures campus will not be cut off from Internet access. Cox provides the additional benefit of a less expensive alternative to Verizon for hosting the E-lite network connections, and future increases in our bandwidth capacity will be less expensive than they would have been on Verizon. The equipment required to use Cox is also far less than that for using Verizon, meaning it takes up less space in the server room and cuts down on energy consumption. William & Mary has now been using Cox connections for almost five months now, and you may not have even noticed a difference. Despite the switch to Cox, E-lite continues to facilitate our campus' connection to the Internet. Nevertheless, it is always interesting to learn a bit about how the Internet functions and how we access the information we consume daily.